The test results for my soil samples arrived right before Christmas. 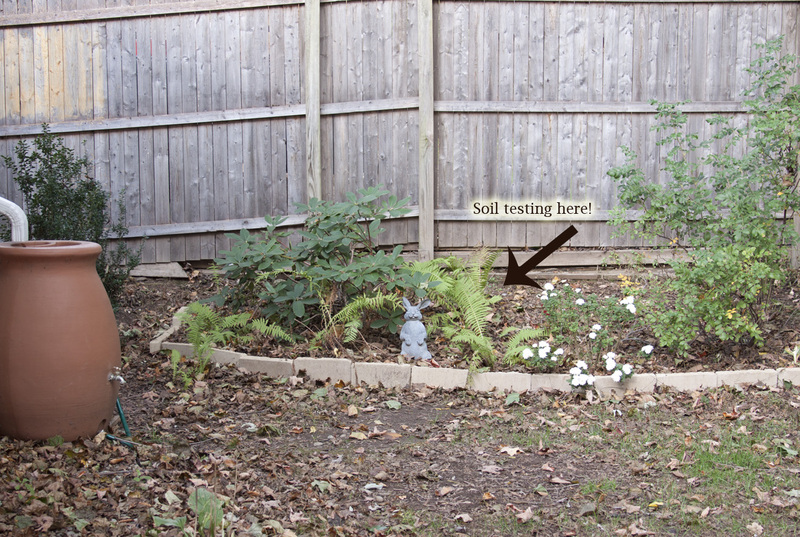 The good news: the lead levels in my soil are "low, typical background levels." The not so great news is that my soil actually needs a lot of work. It's classified as sandy loam throughout the three test areas. The spot along my neighbor's fence, where I hoped to transplant raspberry bushes, has above optimum phosphorus levels. 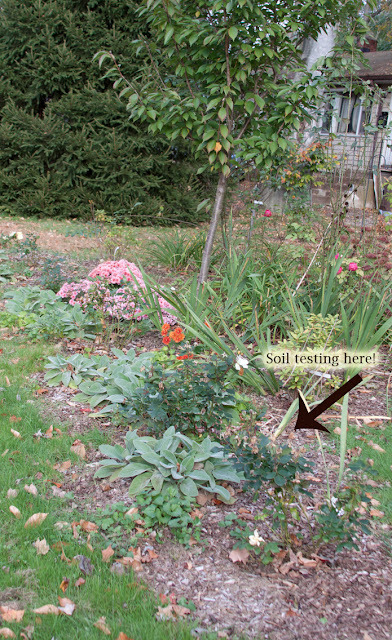 The pH of the soil is 4.6 in this area, where I also have a rhododendron bush growing. This plant needs acidic soil to survive (a pH of 4.5 to 6.0 is ideal, according to the American Rhododendron Society). Raspberries need a pH of 5.8-6.5, so it looks like I'll have to work on raising this level in order for the two to coexist. The calcium, magnesium and potassium levels are all in the below optimum fields. I wonder if this area suffers so greatly in the nutrient department because it is a victim of major rainwater runoff from my neighbor's higher property line. Shifting to the front of the property, the soil is a bit better. The pH is 4.9 where I hope to plant eggplants next spring. Right now this is a patch of grass in front of the butterfly-shaped garden. Phosphorus and potassium are at optimum levels while calcium and magnesium are in the below optimum range. Since this will be a new bed, it will be getting imported soil in the spring, so I'm not too concerned about it at the moment. The garden by the road is actually the best pH, at 5.4. But the nutrients are all at below optimum levels, so it needs help as well. This area has multiple plant needs, so it will probably need the most work. What I like best about the soil tests from UConn is that in addition to the test results, the lab made recommendations for fertilizers based on the plants I am growing (or hope to grow) in that area. They also included handouts to help explain certain plant needs. What a wealth of information for only $8 a test!